We hang plaques on our walls to inspire ourselves to be what we aren’t, or to conjure traits we wish we had. 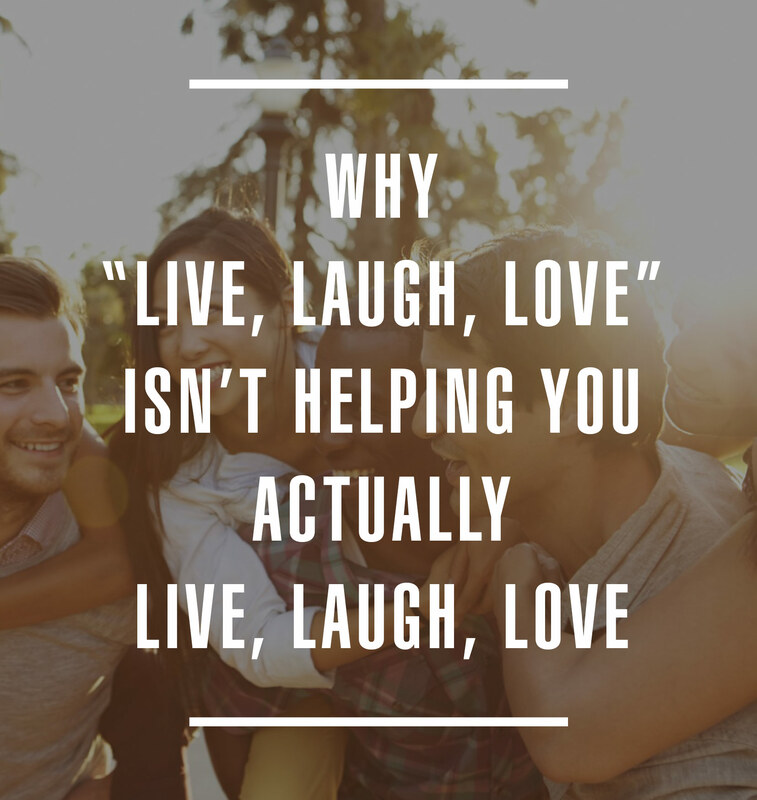 But if it truly worked, the current popularity of “Live, Laugh, Love,” should have resulted in more people Living, Laughing, and Loving. Instead, we see an epidemic increase in suicide, depression, and divorce papers filed with the US government.